April has been a massage therapist for over 11 years. She trained at The Healing Arts Institute in Thousand Oaks, California specializing in Swedish massage and deep tissue massage. 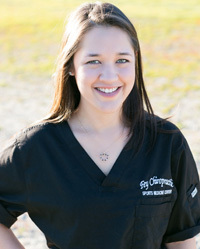 April is a licensed massage therapist who practices many styles depending on what the patient prefers. Some of her other styles include: Swedish and deep tissue, sports, pregnancy, infant, hot stone, myofascial release, lymph drainage, aromatherapy, chair massage, and Equine Therapy. April was born and has spent most of her life in Ventura County, California where she continues her massage practice, education and fulfilling her passion of helping her clients to heal and feel their best. Carleen has been a massage therapist for over 12 years. She trained at The Healing Arts Institute in Thousand Oaks, California specializing in Swedish massage and deep tissue massage. Carleen practices many styles depending on what the patient prefers. Some of her other styles include: Swedish and deep tissue, sports, pregnancy, infant, hot stone, myofascial release, lymph drainage, aromatherapy and chair massage. Carleen was born and has spent most of her life in Ventura County, California where she continues her massage practice, hanging out with her husband and three active children where she helps train and massage her kids club soccer teams. Chenell was raised and went to school in Westlake Village, CA. 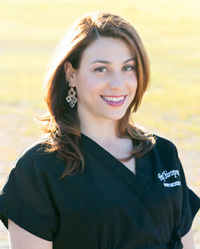 She has been a massage therapist for five years with a specialty in deep tissue. 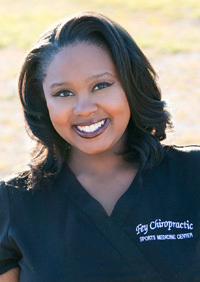 Other styles that Chenell specializes in are Swedish, shiatsu, and sports massage. Chenell enjoys loosening tight muscles and releasing tension in tight shoulders, necks, and lower backs. “I enjoy massage because it’s a amazing alternative way of healing the body and I love seeing people walk out feeling brand new and ready for the day!” Chenell. She attended Thousand Oaks Healing Arts Institute in 2003 and has worked with Dr. Fey and Physical therapists ever since. 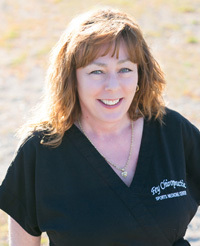 She specializes in deep tissue and sports massage, as well as personalized therapeutic massage for specific injuries. 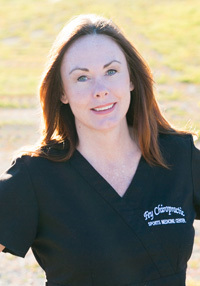 Working directly with various doctors has led her to gain great knowledge and understanding of a wide variety of injuries and allows her to work directly with the specialists to come up with an appropriate treatment plan for each patient. She received a B.S. in Business in 2007 from California State University, Northridge, where she was a collegiate golfer, before deciding to pursue a career in physical therapy. She is currently taking classes in preparation for a doctorate program in Physical therapy. In her free time, Jasmine enjoys snowboarding, traveling, golfing and spending time with family and friends. 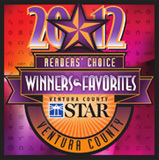 Licensed massage therapist, Stacy Lehman, has been practicing for 11 years in the Conejo Valley. Stacy believes that wellbeing is one of the most important things in your life. If you are in pain, discomfort, stressed or just need to relax, massage therapy is beneficial for all of those body aches and a great stress reliever! Stacy will work based on your personal goals, medical history, and stress or pain related problem areas. Stacy works on many different types from people with office jobs to golfers, cyclists, mixed martial artists and runners. The goal is to help aid in the recovery of injury and pain.